You maybe familiar Reynold Poernomo from his Chippendale dessert bar, or his time on Masterchef – either way the main takeaway is that this guy can craft some seriously beautiful, glossy and delectable desserts. Now, the pastry chef is bringing his perfectly poised pastries to the north, with Koi Dessert Kitchen opening in Ryde. 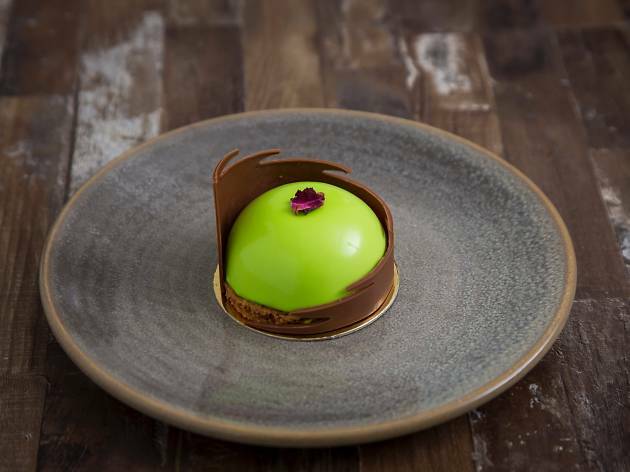 Treats include Little Green Man, which sees a buttery almond sable base topped with a dome of light-as-a-cloud mango mousse, filled with a secret centre of yuzu curd, and capped off with a glossy lime green shell. They also do lots of seasonal treats – think elegant, next-level Easter eggs and shiny chocolate Christmas baubles. 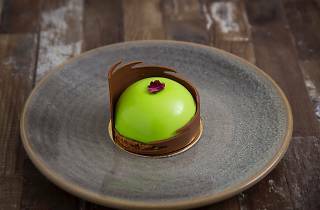 The Koi Dessert Kitchen also boasts a little more room than its OG digs – it's set to be the hub of Koi's production, complete with an open kitchen so you can spy on all the pastry chefs while they perform their dessert wizardry. Want to get hands-on and try creating your own dessert? In the coming months Poernomo will be introducing masterclasses. Stay tuned.